In this section you can learn a little more about the Doctors and Healthcare Professions at Calvary St Luke’s Hospital. Nursing and Midwifery: Registered Nurses and Enrolled Nurses. Allied Health Team: Physiotherapists,, Dieticians, Occupational Therapists, Social Workers, Psychologists, Pastoral Care and Pharmacists. 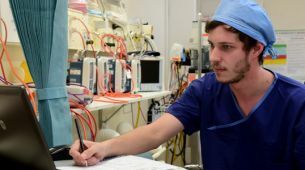 At Calvary St Luke’s Hospital these various occupations work within a framework that ensures we provide you with timely, appropriate care in a safe and suitable setting.